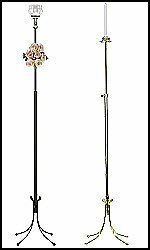 Flexibility and class say it all for our aisle candelabras. They are able to be easily placed in a variety of locations for weddings, church services and other occasions that call for a candelabra to accent the aisles. 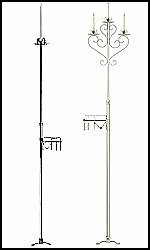 Our aisle candelabras are made from steel and are adjustable for a variety of heights.